God promised the end of all wicked people. 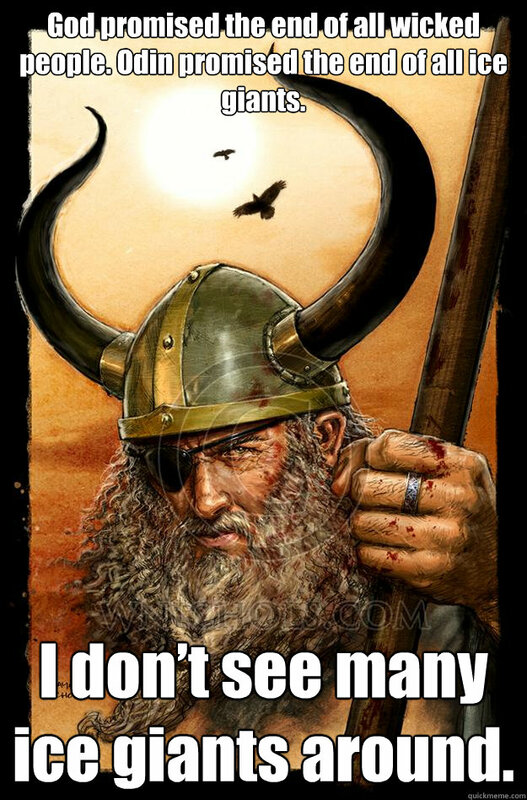 Odin promised the end of all ice giants. 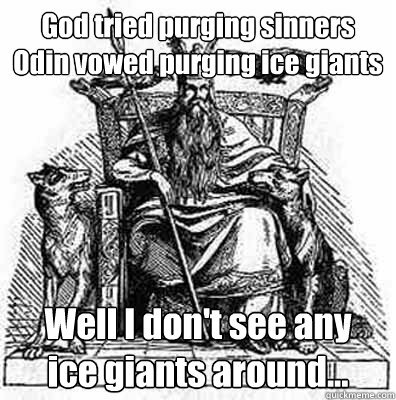 I don’t see many ice giants around. 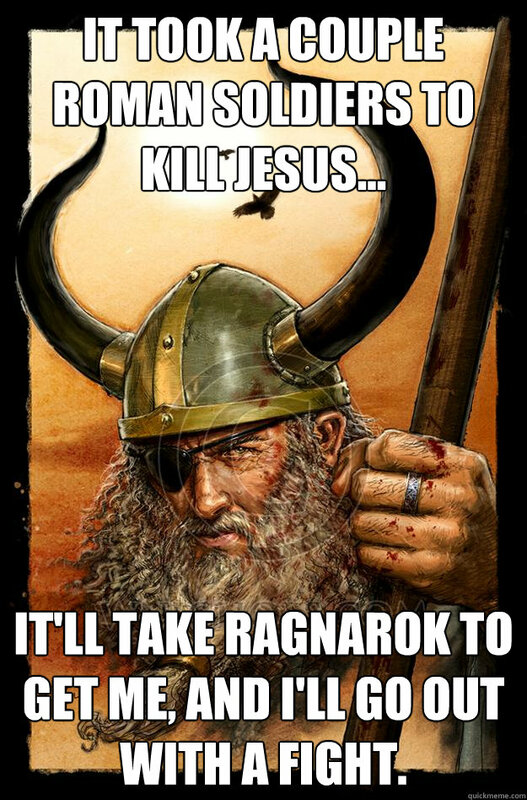 It took a couple Roman soldiers to kill Jesus... 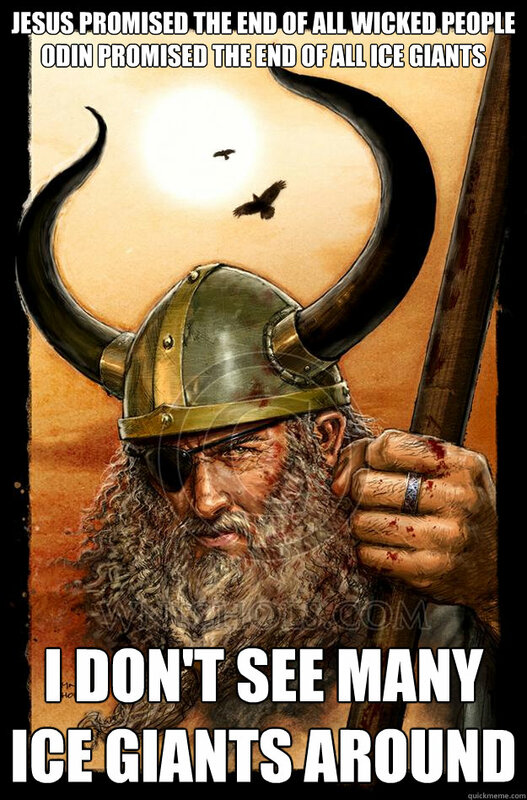 It'll take Ragnarok to get me, and I'll go out with a fight. 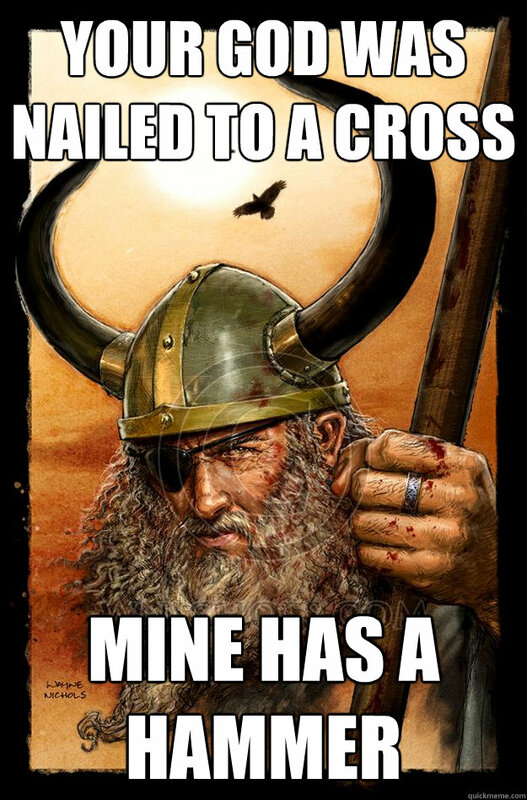 God's son walked around with fish and bread telling people to turn the other cheek. 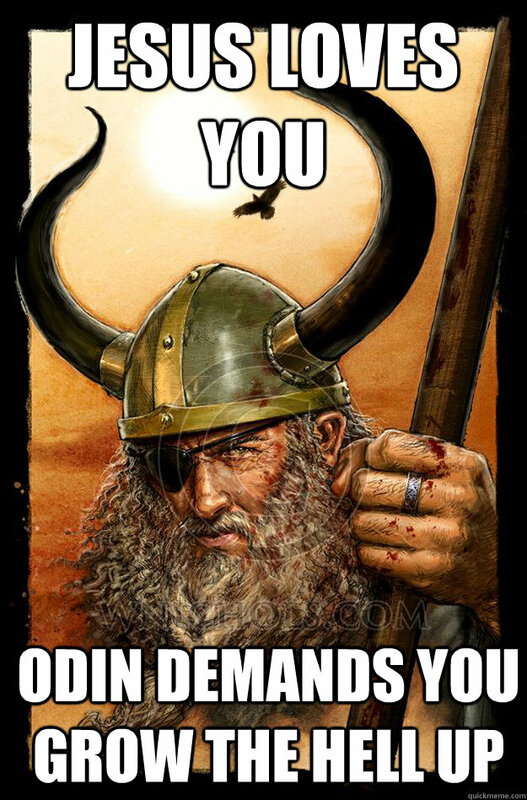 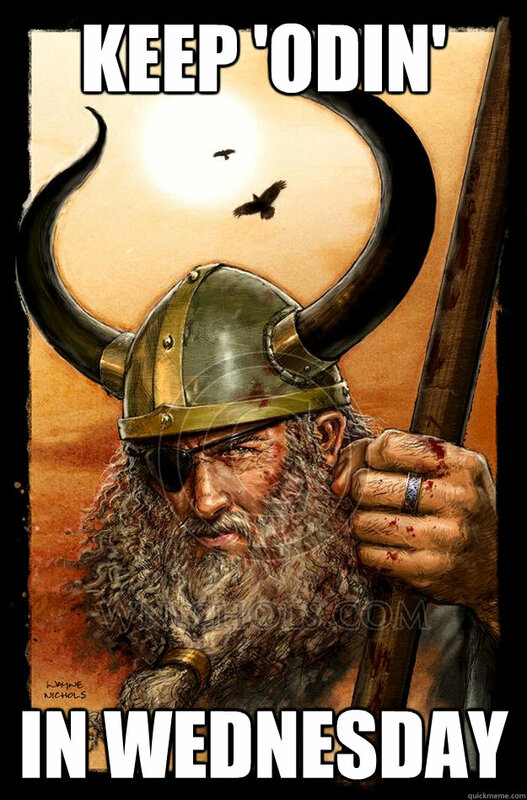 Odin's son flew around crushing skulls with his hammer, mjolnir.